This directly addresses astrology in all it's forms and all forms of worshiping or revering these things. We are to worship God Almighty alone. Anything else is blasphemy. Are we allowing anything above God in our lives? Where do we spend our time, our money? What do we think about all the time? What is greatest in our hearts? God must be first. He will not accept second place. He will not share His throne in our hearts. These are SO BEAUTIFUL when not shrunk for a preview. They are going to be spectacular tucked into clusters and peeking out from behind things. 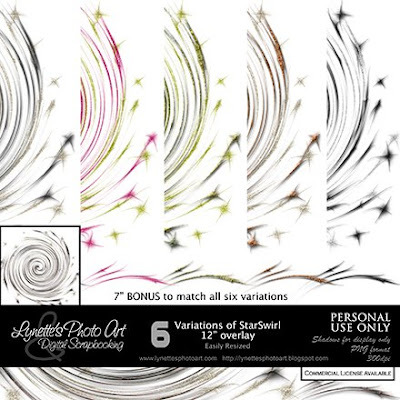 I'm giving you six color variations. I had to split it into two downloads for you due to size. These are taking up a lot of space in my 4shared, so get them while you can! I probably won't leave them active too long as my space is filling up fast and donations aren't coming for the upkeep of the blog. We have put over $350 into it just in the last month. 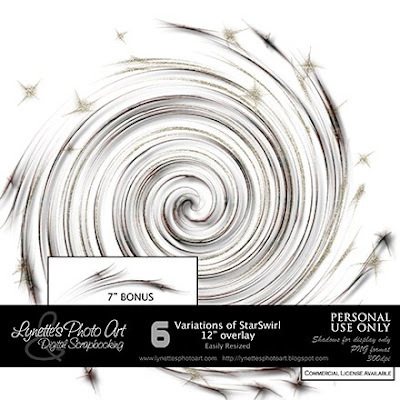 This is an example of what you can do with these Star Swirls. Your imagination's the limit! 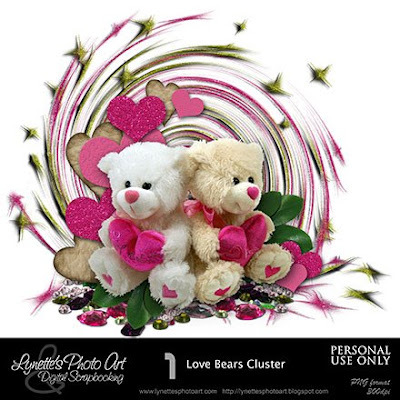 And yes...I gave you this gorgeous cluster yesterday so go back and get it if you missed it! If you download, leave me some love at the bottom of the post and God bless your use of it! Thank you! Your blog post will be advertised on the DigiFree Digital Scrapbooking Freebie search engine today (look for timestamp: 17 Feb [LA 07:00pm, NY 10:00pm] - 18 Feb [UK 03:00am, OZ 02:00pm] ). Thank you so much for this Freebie. I want to let you know that I posted a link to your blog in Creative Busy Hands Scrapbook Freebies Search List, under the Elements Only, Papers Only post on Feb. 18, 2009. Thanks again. By the way, my server couldn't find the page for your TOU.